Last night, when I went to the grocery store, the cashier noticed my ransom note nail tattoos. She was a skinny white chick with dreads, and she bagged my items with my boyfriend’s things to save us having to use so many bags. That’s not something you see in my town very often, and I really appreciated it. I also appreciated another female, a young one at that, noticing my nails. Days after the initial application, someone thought they were cool. Of course, days after application, they weren’t looking their best either, so I decided to remove the tattoos before they had a chance to make a bad impression. My nails are naked today, but they have reached a length where that is acceptable to me. My freshly grown nails can be transparent for a time, and they have to spend some time detached from the nail bed to turn white. As mentioned in a previous post, I’m now taking Celexa for anxiety, so this is the first time in years my nails have been this long. 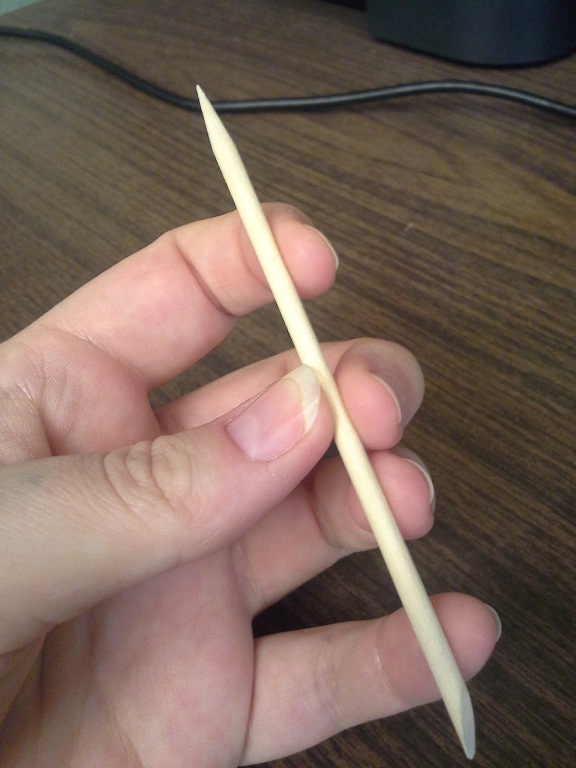 Confessions of an ex-nailbiter: I could go back to biting in an instant if it weren’t for bamboo sticks. Whenever I feel the need to put myself under a microscope, I pull out the stick and clean under my nails. That has saved me for just over a month now. 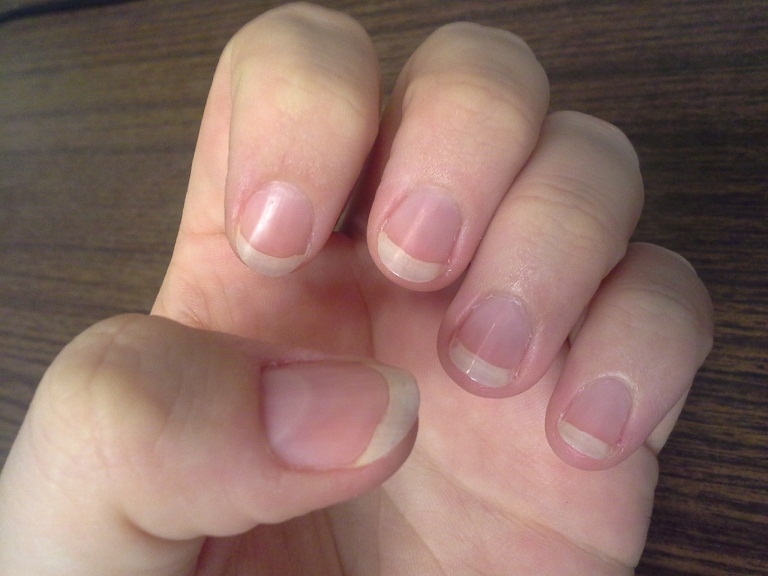 My boyfriend’s fingernails get this long in a week, but I’m proud to have this much after a month of extreme willpower. I use a strengthening nail polish remover and a 7-step nail buffer to fix up my nails. Nail buffers are pretty awesome.  Basically, you have three surfaces of an emery board to shape the nail, then four of varying coarseness for the nail surface. To buff, you start with the coarsest surface first to work down your nail’s natural ridges, then the next finest surface to work away any of the fraying. Honestly, after the first surface, it reminds me of when you scrape nail polish off, your nail gets a little white and fuzzy. The third surface buffs the nail down even further, and the final, finest surface polishes the nail to a glassy shine. Be careful not to overdo it. You shouldn’t go all the way from the coarsest surface too often, because it can wear through your nail making the tips very weak. Touch up with the smoothing and polishing surfaces as your nail loses its sheen and the root grows out. Also, if you’re a known biter, keep that stick handy, because sometimes the polisher does such a good job that your nail tips truly do resemble glass. Adjusting to your nails once they reach the tips of your fingers can be awkward if you’re used to very short nails. Things I’ve noticed being different include typing, using my phone, slicing vegetables, scratching an itch, and using a peppermill. I’ve actually sliced my thumb knuckle open with the opposite thumbnail while twisting the peppermill at dinner. My nails are like razors when they grow out. Also, I have a few spots on my face right now where I was scratching at a rough spot and actually took the skin off. I swear, the next day I looked in the mirror and thought “Holy hell, it’s like Faces of Meth.” Be super careful with your new weapons. Overall, I feel like the pleasing appearance of longer, groomed nails outweighs any negative aspect. If you’re still not having luck growing your nails out, vitamins may help. If you’re a nailbiter, I have great things to say about anxiety medication. I’m just taking the low dose of Celexa, and I never expected it to curb my biting. Good luck and have fun!